The Handley Page Halifax, together with the Avro Lancaster, carried out the greater part of the night bombing offensive during the Second World War. In addition to taking part in every major raid on the Greater Reich, the Halifax played a leading part in the daylight offensive in 1944, after the D-Day landings. The Halifax also served in the Middle East and Far East and was employed not only as a bomber, but by the Coastal Command for long-range reconnaissance, as a transport glider tug and for the carrying of paratroops. When production ceased in 1946, 6,176 Halifax's had been produced, over 2,000 of these the B. III variant, and the Halifax had flown over 75,000 sorties and dropped nearly a quarter of a million tons of bombs. The Halifax B.III was powered by four Bristol Hercules XVI engines, each of 1,675 h.p., giving a maximum speed of 282 m.p.h. and a range of up to 1,985 miles. Bomb load was 13,000 lbs., up to 10,000 lbs. being carried in the fuselage and 3,000 lbs. in the wing bomb cells. Defensive armament consisted of nine machine guns. Wing span was 98 ft. 10 in. and length was 70 ft. 1 in. The box art shows two Halifaxes flying along with 4 fighter aircraft way in the distance behind them. It is unclear as to whether these fighters are friend or foe. undercarriage. It has black and yellow striped rudders. 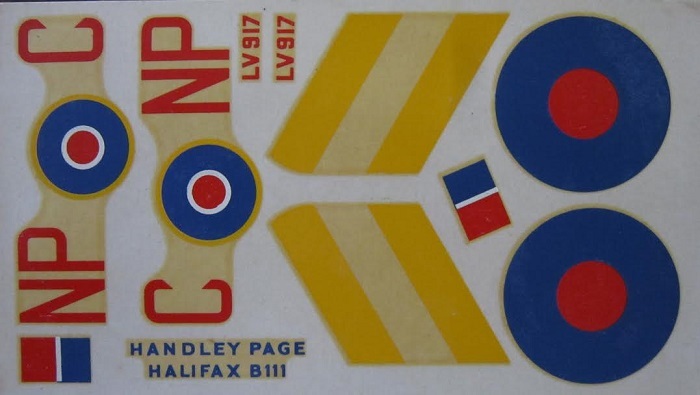 The fuselage code is red NP (roundel) C. It has the serial no. in red of LV917 under the elevators. The second Halifax is in the identical color scheme, but the fuse code is obscured by its wing. 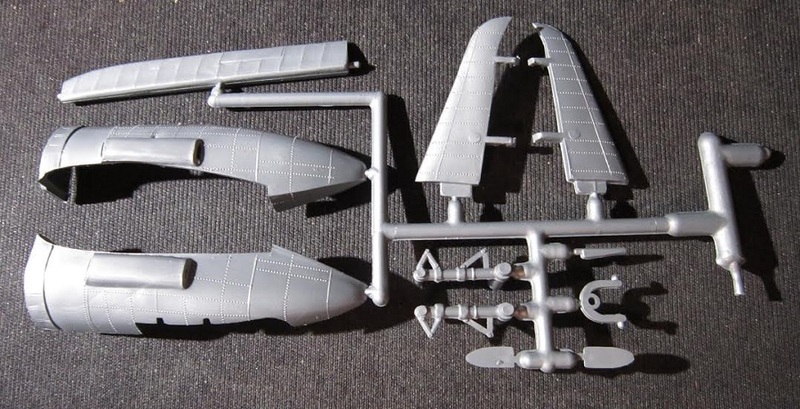 One side panel says the kit was made and litho in the USA and a display stand is included in the kit, next to a color box art of a Flying Fortress B-17G. The other side panle lists 37 aircraft kits, 2 ships and 6 tank kits that Airfix manufactures, next to a box art of a Avro Lancaster B1. No kit numbers are shown for these two kits and I assume they are both to 1/72nd scale. This kit contains 8 grey trees (4 of these are co-joined and bent over against each other. I separated them). 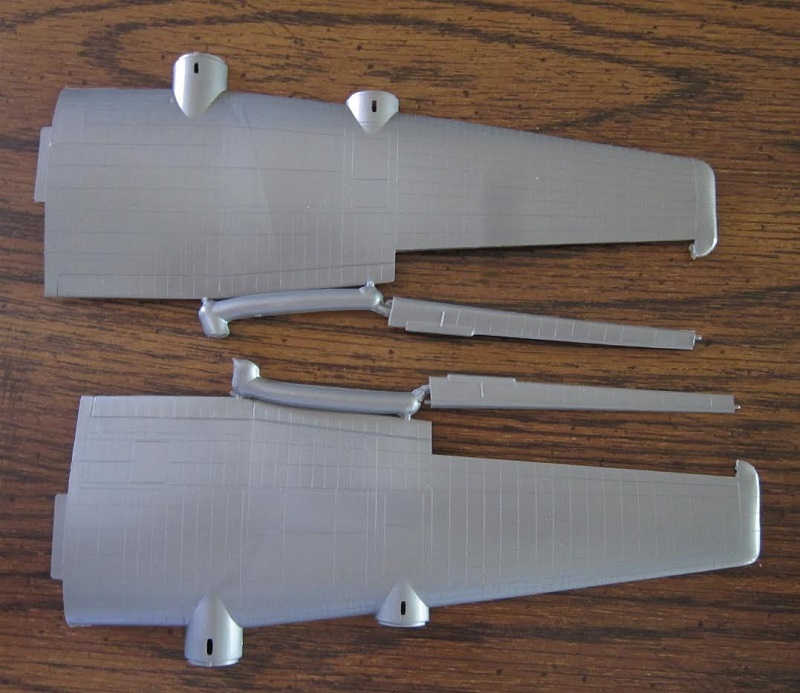 Individual grey parts are the fuselage halves. There are a lot of parts broke off these trees and parts are not in cello bags. Two clear trees, the decal sheet and the instructions complete the kits contents. The instructions consist of a single sheet that is folded in the center to create 4 pages in 8 1/2" x 8" page format. Page 1 begins with the history of the Halifax, over the first assembly step that is for the cockpit interior. Pages 2 to 4 give a total of 4 assembly steps, with a lot of text to walk modelers through the builds. There are no parts trees illustrations in the instructions. 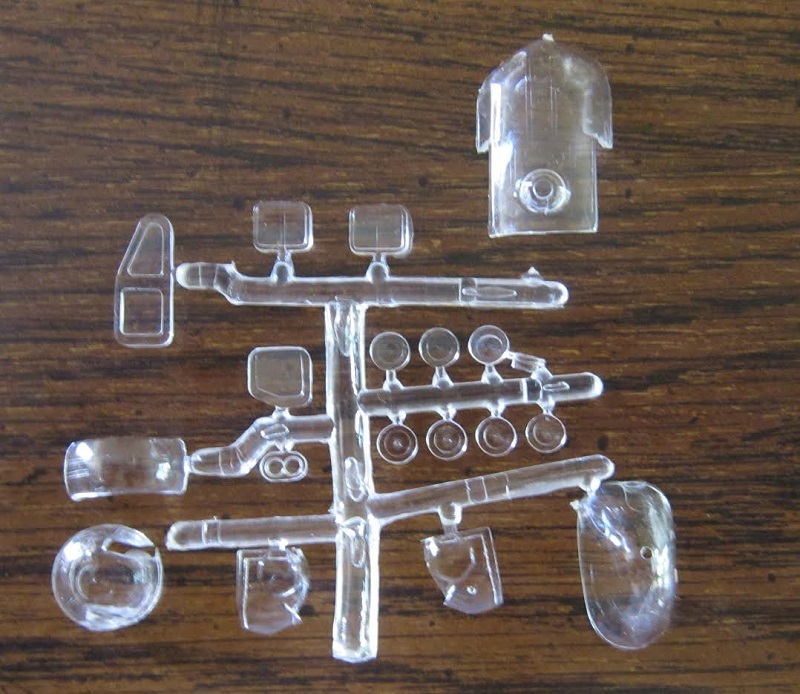 Trees are not alphabetized and there are no part number tabs next to the parts on the sprues. Bad move Airfix. 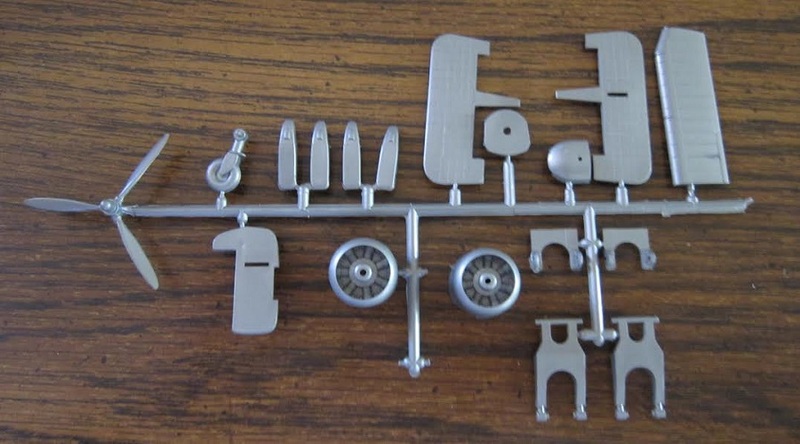 This means extra work to get the right parts for each assembly. 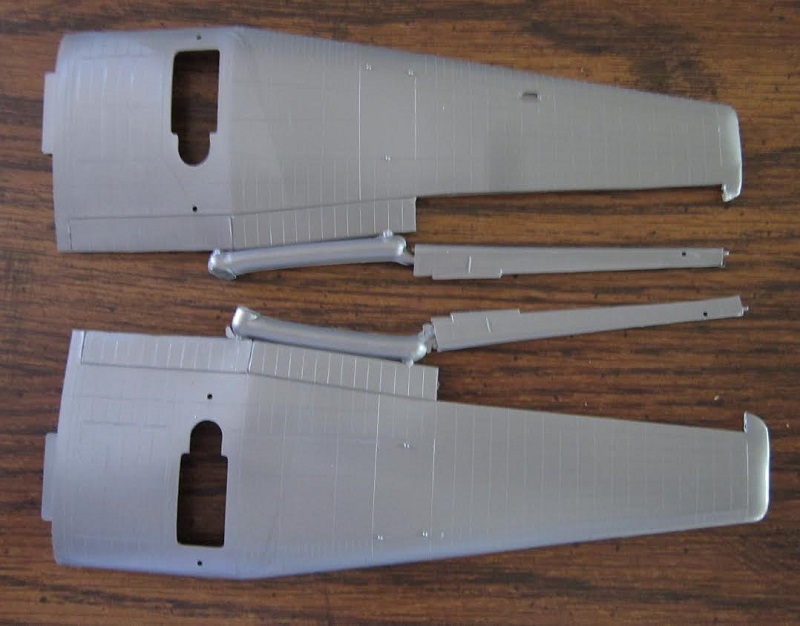 The 1st two grey trees each hold an upper wing half and a flap. ​The 2nd two grey trees each hold a lower wing half and a flap. 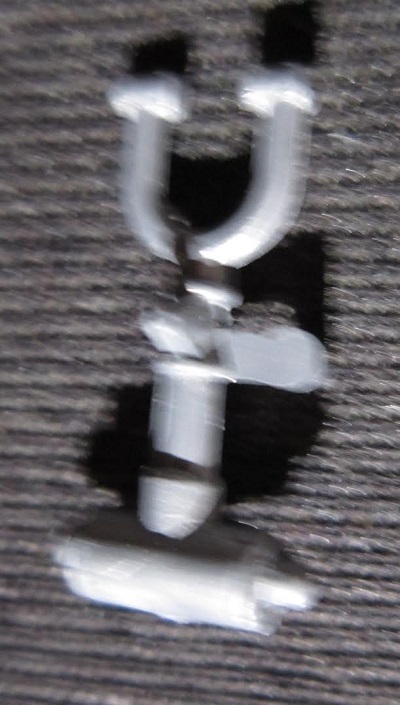 The third grey tree holds: a propeller, bulkheads, cabin floor, landing gear struts, cowling side halves etc. (14 parts) This tree is co-joined to the next one. ​The 2 grey fuselage halves and cowling sides. ​The 1st clear tree holds the 2 parts of the display stand. ​The decal sheet and instructions complete the kits contents. 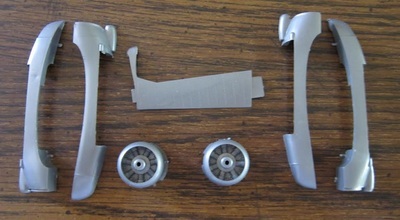 ​There are broken off parts, due to the fact that parts are not cello bagged and there was friction between the trees. 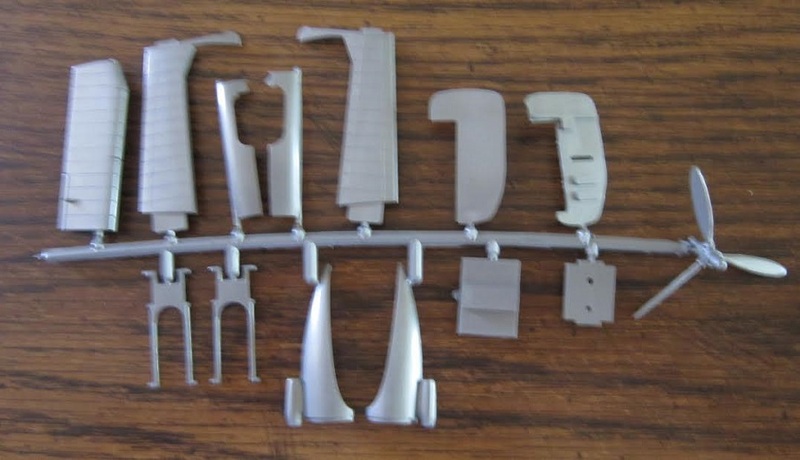 .​Panel lines are of the raised variety. This is a neat British bomber. 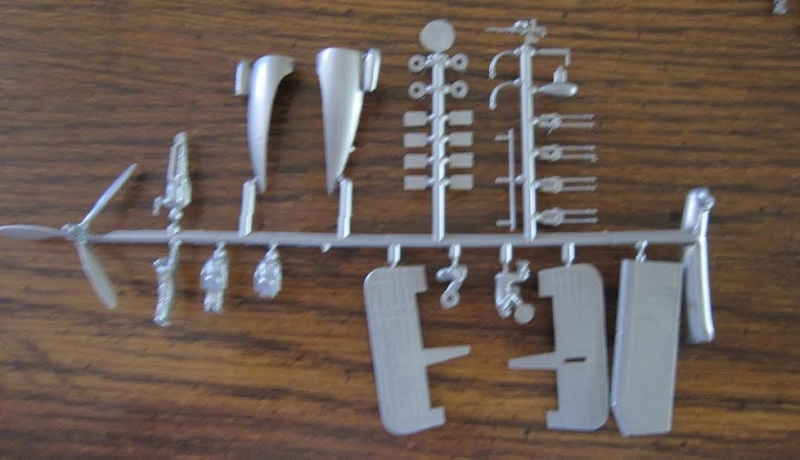 ​I purchased my kit back in the 60's for a few bucks at my local hobby shop.